Haven’t you dreamt of becoming a Naval officer when you were a child? Many Nigerians think about joining the Nigerian Navy because of their rumoured high salaries and impressive ranks. It is time to discover the average Nigerian navy salary per month depending on the officer's rank and the payment structure. Being a naval officer is very prestigious. This profession is respected by all citizens. You will get not only a well-paid job but also get an amazing status, respect and a chance to build a happy and successful career in your home country. Many women and men from Nigeria serve in Armed Forces’ branch. They join Navy and become officers, but their salary depends on many aspects. The main aspect here is the rank of the officer. In other words, the salary structure looks like this: the higher your rank is, the more you are paid. The structure is rank-based, and it takes into the consideration how many years a person has worked in the Nigeria Navy. Besides, millions of people wonder how much these people earn. You can guess that the information is not public, but citizens keep searching for this data. Therefore, we have read some rumors and got around some interesting numbers, and we are happy to give you an idea of how much you could possibly earn after joining the Nigerian Navy. Just keep in mind that this task is complicated. Not everyone can easily join this structure and work here. Here are some examples of Nigerian Navy salary per month based on officers ranks. We only came across the estimates for the officers with the highest ranks. Being recruited into Navy is respectful. As you have noticed, you can expect being paid a lot after your rank grows. It’s a common trend used in different professions. Still, the difference between a regular office salary and Navy salary is huge. By the way, officers can enjoy more advantages than just the high salary. Right, they get enough money per month, but they can also enjoy everyone’s respect. Thus you can be proud of what you are doing. While we do our best to provide the most reliable information on salaries in Nigerian Navy, all the numbers mentioned are approximate earnings. The reality can change slightly, so the highest ranked officers can either get a bit more or less money each month. We hope you found the information on monthly salaries in Navy interesting and useful. Besides the honour and prestige that comes with being a member of the Nigerian Armed Forces, another enticement for many wanting to serve in the Nigerian Navy is the attractive salary. Many people aspiring to join the Nigerian Navy always search online for the information regarding the Nigerian Navy ranks and salary. But this information is difficult to come by online. Non-commissioned officers are members of the Navy who do not necessarily possess a degree from a higher institution to enlist in the Nigerian Navy. Non-commission are involved only in the physical aspect and coordination of military strategies. 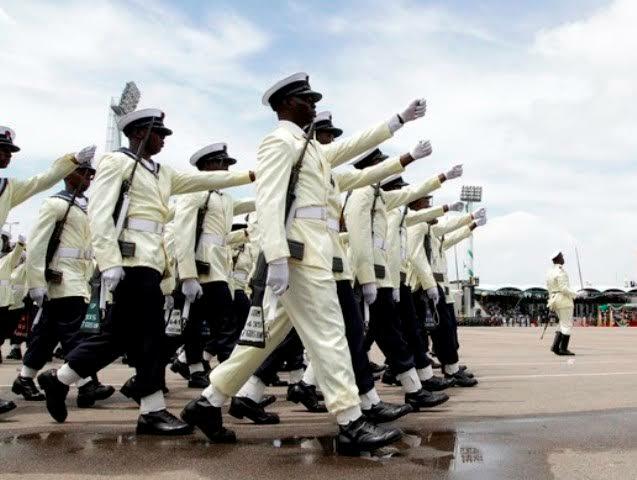 Commissioned officers are naval officers who joined the Nigerian Navy as higher institution degree holders. Their training includes the decision-making and leadership aspects of the Nigerian Navy. Commissioned officers are always superior in ranking to non-commissioned officers and they also earn more. Joining the Nigerian Navy is always a dream come true for many given the opportunity. The Nigerian Navy recruitment process for higher institution graduate takes place every year. You can find information and news about application dates, exam and interview dates, requirement, recruitment process, etc. on the Nigerian Navy Recruitment and enlistment portal at www.joinnigeriannavy.com/. Also, you can watch or check online for news related to the recruitment process. Don't hesitate and join Nigerian Navy. However, beware of fraudsters who take advantage of people trying to enlist in the Nigerian Navy.